Recently, I was reading Gary Ryan Blair’s ideas on Excuses, Management, and Reasons. Gary has worked with NASA, Lockheed Defense, and Disney to develop projects and execute team goals. While reading his ideas on excuses, it made me re-think my own thoughts and coaching so I thought I would share my take on it. In the gym setting and in life in general, we are constantly striving for BETTER! As we go through our day to day, it is important to recognize how we rationalize our actions and take blame for success or shun responsibility for failure. Often, we will use reasons and excuses to mentally categorizes daily occurrences. In the dictionary, what’s the difference between a reason and an excuse? NOTHING! Both reasons and excuses are defined as an explanation put forward to defend or justify a fault or offense. Excuses are rationalizing and justifying unfinished endeavors due to having more examples why something can’t be done than why it can be done. This an issue which plagues the majority of those in the gym, life, relationships, hobbies, careers, and business. The fact of the matter is, there is a massive difference between reasons and excuses. Since there is no real dictionary difference between excuses and reasons. We are forced to EXAMINE THE RESULTS of each mindset when used to accomplish or completely derail something we are working towards. Excuses are seen as uncontrollable events that exonerate and absolve one from doing tasks. All the while, it then justifies the failure from not accomplishing a task. With the excuse mindset, whatever is expected of you is justifiably not feasible. One the other hand, a reason is a catalyst to make something happen, causing imminent change, and completion of a task. This is allowing you to stay in control of your situation, you are responsible for everything, and including results your were striving for. In the end what differentiates excuses and reasons. Excuses are succinctly irresponsible and negative. Reasons, if acted upon, are driven by outcome based and results driven behavior which actions or reactions sometimes fail, but always “course correct” to a new action, and prevent excuses from clouding and hiding the path to get to your goal. Reasons, will allow you to re-route your actions and still find a way to your desired destination. The reason and excuse rule is as follows: Every reason should have a resulting action! If you didn’t make time to exercise in the AM get it in later in the day, instead of using that as a total day off excuse. If you sprained your ankle and you can’t do the lower body workout, just do an upper body workout, instead of taking a week off. If you didn’t go grocery shopping, go to a restaurant where you can still eat a meal with sound nutrition, instead of using this as an excuse to wreck your progress. These are overall simple examples, and these three are absolutely real. I have heard all of these excuses within two weeks ( anonymity will used ), 70% of the time the individual course corrected and made it happen and that’s the POINT! Sadly, there were definitely the other group who just used an excuse. A reason is what resulted in a different action still shooting towards achieving the end result. Course correct! All responsibility is placed on you and all outcomes are accepted both great successes and terrible failures. Simply, its taking responsibility for actions. Excuses will brutally eviscerate your dreams and goals all while establishing a mindset of desperation and scarcity, instead of a triumphant and empowered position. Do not associate with excuses. Ever. You can have results or excuses, not both. Do Carbs Just Make Us Fat? Often, we get mixed up in the mumbo jumbo of diets or different juice cleanses to make us “healthier” (and force us buy baby wipes) sorry had to go there ;). As we all know in the back of our mind, this is probably not the right way to go about nutrition. With this being said, if we go back to science, we can adopt some strategies which will aid us in forming simple, long term habits which can produce long term results and performance increases. 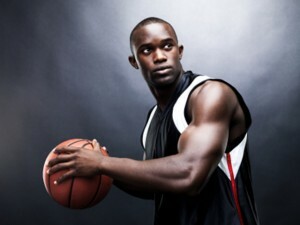 Now, we are going to assume we are trying to improve body composition, reduce fat gain, and increase lean tissue gain. Continuing from here, prepare your mind, here comes the science! 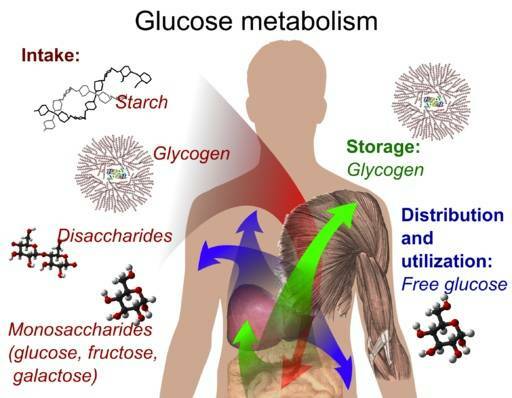 Glycogen (your storage form carbohydrates) is stored in muscle tissue and the liver. The average person holds about 1,500-2,000 calories of stored glycogen. Converted into grams, your liver stores about 100g of glycogen (your storage form of carbohydrates) and your muscles store approximately 400g of glycogen. After exercise, your glycogen ( I will just call them carbs going forward for simplicity’s sake), will be partially depleted, not completely depleted, as that would cause fainting etc. Since your stores are depleted, the carbs which you consume will be shuttled to your muscles and liver as opposed to fat storage. What can I do immediately to take advantage of this information? Simply, consume 30- 60 grams of starchy carbs within 2 hours after exercise. Your body will shuttle them to muscles and liver instead of storing them as fat. Now what happens if I haven’t exercised, I ate an entire pizza the evening before, and my glycogen stores are full. After this pizza rampage, I go eat a cup of ice cream? Since your muscles and liver are full of carbs already there is only one more place for this energy to go, (queue the scary music)… fat storage! With this being said, a strategy or rule which takes these facts into consideration and can help you improve body composition is as follows: Eat starchy and dense carbohydrates after sleep ( you burn carbs during sleep) or after exercise and consume remaining carbs that consits of fibrous carbs i.e. veggies and most legumes. If you follow this strategy it will improve body composition. Try it out and let us know how it goes! Want more info on this topic? Check out my video on carbs. Ortenblad, N et al., Muscle Glycogen Stores and Fatigue. Journal of Physiology (2013). Accessed on September 15, 2016.